Tom Moss will be the guest speaker at this year’s event in Jefferson. Moss will give a historical overview of Jefferson. Afterward, go on a night hunt! Cypress Bayou RV Park is located at 1602 State Highway, 49 East in Jefferson. The purpose of the TAMDC is to unite, promote, and encourage metal detecting clubs in the state of Texas, through education and instruction in the recovery and preservation of historical facts, relics, and artifacts. 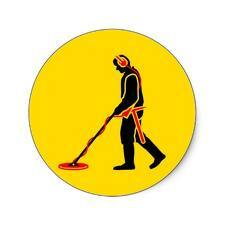 It is the intent and charter of this association to develop and maintain a postive image for metal detectorists and their activities at local, state, and national levels through performance of selected community service projects, charitable events, and through adherence to the TAMDC code of ethics. conduct yourself in a manner that is courteous with consideration for others. 13. ALWAYS COVER YOUR HOLES! First Federal Savings Bank Bldg. For more information email keith@keithballow.com. For more information email edbad2dabone@aol.com. For more information email sbyrnes@pdq.net. Crockett — Piney Woods Fine Arts Association is presenting The Houston County Youth Talent Showcase sponsored by Coca-Cola of Crockett, May 18th at the Crockett Civic Center. This annual showcase event of some of the best and brightest talent from all over Houston County is in rehearsals and getting ready for a stellar performance! The theme of this year’s show is “Puttin’ on the Ritz!” and is dedicated to longtime Crockett resident and esteemed community member, Bill Schulman.